Many writers dream of seeing their name listed as the author of a bestselling book, but have no idea how to go about getting published. Unfortunately, coming up with a great idea is just the start of the process. After you've found your topic, you'll need to prepare a great query letter and book proposal. Marilyn Allen and Coleen O'Shea, authors of The Complete Idiot's Guide to Book Proposals & Query Letters, recently offered to share a few tips for aspiring writers with the readers of LoveToKnow Freelance Writing. They are partners in the Allen O'Shea Literary Agency. 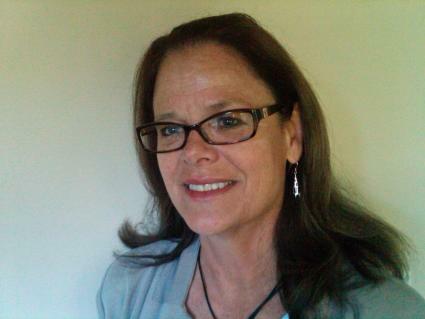 Ms. Allen has worked at publishing houses such as HarperCollins, Penguin Books, Simon & Schuster, and Avon Books. Ms. O'Shea is a former executive editor of Bantam Books. LoveToKnow (LTK): What are some signs a writer should look for when determining whether or not a particular idea could result in a publishable book? Marilyn Allen and Coleen O'Shea (MA/CO): It's critical to have a fresh idea that will fill a need or satisfy a targeted and eager audience. Writers should spend a great deal of time assessing the potential audience and researching the competition before starting to write their proposal. Sometimes, hot blogs, well-trafficked websites, and popular conventions indicate interest in a topic and a ready market. Studying bestseller lists can show currents trends in reader habits, too. LTK: What is the difference between a query letter and a book proposal? Since many novice writers associate query letters with freelance submissions of magazine articles, can you explain how query letters relate to the world of book publishing? MA/CO: The query letter is a very short and concise (usually one page) letter that states the book concept, establishes the pertinent author credentials and marketing platform in a manner that elicits the interest of an agent or editor in seeing more material. The book proposal is a more detailed presentation of a book in development. It will include a cover letter, project overview, an about the author section, author platform and marketing plans, potential audience for the book, overview of the competition, table of contents, expanded table of contents and sample chapters from the book. LTK: What are the top three mistakes writers make when creating a book proposal? MA/CO: Writers often don't have the credentials to support their book concept. If this is the case they should think about partnering with a true expert if their education or training in the book's field are not strong enough. Many proposals lack a strong enough marketing platform that will secure the interest of an editor and publisher. Publishing is a business and more and more publishers are looking for sure bets in the books they are willing to bring onto their lists--books they know will sell well. We see many very generic projects. There is a saying, that there is riches in the niches. Often it is best to explore a smaller subsection of a topic. Who would have thought that Vegan Cupcakes would become such a bestseller? LTK: As a literary agent, what makes you take notice of a particular proposal? MA/CO: We are attracted to fresh ideas, strong writing and well-positioned authors. We read thousands of query letters and hundreds of proposals a year and it's a joy to find a gem in the pile. LTK: What advice would you give to writers who are worried a book proposal will give away too many of their ideas or fearful that the publisher will try to "steal" their work? MA/CO: This is an industry that respects intellectual property. The book proposal needs to SELL your idea, so it's critical that your strongest ideas are well presented in your proposal. LTK: In your book, you spend a lot of time talking about the importance of creating a platform for yourself as a writer. Why is a social media presence important for an author who is still working on a book proposal? How has the popularity of social media impacted the way books are marketed? MA/CO: Social media has become a powerful tool for authors to find and build a community interested in what they have to say. The beauty is that many of the functions a writer can use to market themselves and their books don't cost much money. Every author -- including each new one -- can work at building a social media presence one click at a time. Don't wait for your book to get published. Begin early. Writers can start a blog, a Facebook page for their book, webpage, etc. and continue to work at it. Authors should be building an audience from the minute they decide they want to write a book. 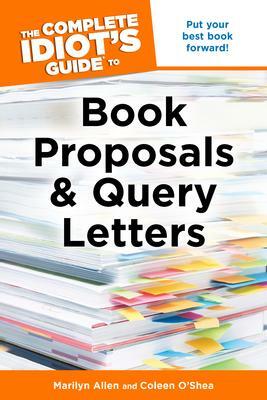 The Complete Idiot's Guide to Book Proposals & Query Letters provides a wealth of resources for anyone who wants to produce a publishable book, including sample query letters and book proposals for both fiction and nonfiction titles. While nobody can guarantee you'll get your book published, taking the time to learn how to present your idea effectively can give you the edge you need to stand out from your competition.